This middle size of a series of three, this urn is made of linden wood with a satin finish. this urn. Entirely and meticulously handcrafted, the end result is a product of uncompromising quality. 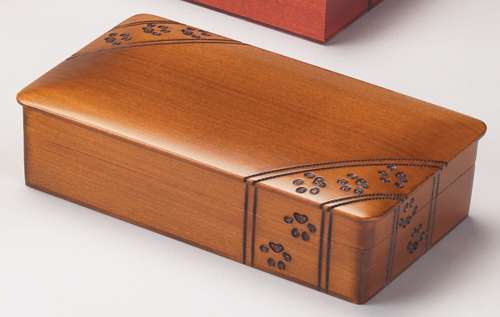 Paw prints, placed diagonally across the top and down the sides of the urn, make it truly endearing. Due to the nature of this item, color may be slightly different than represented. 9 in. x 5-1/8 in. x 2-1/4 in.